Greetings and welcome, on this deliciously foggy morning, to yet another juicy review from me! Today I’m going to be focusing on a product that I wouldn’t necessarily buy myself, nor would I recommend it for the seasoned vaper, vaping on a higher wattage vaping mod or device. The product in the spotlight is one that I believe is more geared toward the heavy cigarette smoker who’s making that rewarding change and looking for an e-liquid to help get him past that painful initial tobacco craving period... one that tastes like tobacco preferably, namely Hangsen RY4. Now being a staunch cigarette detester, I tend to avoid anything with tobacco notes but I know that, as a reviewer, it’s my job to be able to assist shoppers who are looking for a juice to help satisfy their insatiable taste for tobacco. During my extensive smoking career I went through a caramel and vanilla flavored roll your own phase, a taste I remember all too well... so I thought I’d actually be a good judge as to whether this product provides an authentic tobacco taste. In fact, I’m super excited to give this Hangsen e-juice a try, let’s see if it takes me back to those good ol’ smokey nights. Now, as a side note... I know the market is steering more toward the higher VG juices, however there is still a place for the higher PG juices, especially for first timers using a low wattage device. Let’s get started with reviewing one of the best RY4 e-juice by Hangsen. Now, if you’re wondering about what the name RY4 (Ruyan 4) means or if you’ve seen other brand flavors that also have the RY letters with a number alongside and are wondering what’s up... here’s the low down. RY4 is actually one of the original vaping e-juice flavors created and it signifies a threefold flavor profile, namely tobacco, vanilla and caramel... a classic combo. The number alongside increases in proportion to the sweetness level and the tobacco notes will decrease as the sweetness increases. Hence: Hangsen RY4, which is sometimes considered to be one of the best RY4 e-jice, should provide maximum sweetness with only a light tobacco flavor. Perfect for ex roll your own or cigarette smokers who favored a light tobacco, but still enjoyed the tobacco flavor. For the purposes of this Hangsen RY4 review, I whipped out my Kanger EVOD vaping pen kit, which is just the kind of low wattage system you need to be able to enjoy the flavor and consistency of this particular juice. Sizes: Hangsen RY4 50ml, Hangsen RY4 30ml, Hangsen RY4 10ml. Range: Available in 0, 6, 12, 18 or 24 milligram nicotine options. This is of great assistance to the ex-smoker... you can continue enjoying the same flavor, while slowly weening yourself off nicotine. High PG: Now, you may be wondering why I’d list this as a Pro, especially with the VG revolution that’s underway at the moment, let me explain. Now I, personally, favor a high VG juice, especially with my sensitivities, however cigarettes and tobacco alike, deliver a distinctive throat hit, without which, psychologically, a lot of the tobacco quitters I’ve met just won’t be satisfied. The 80/20 PG/VG ratio of this Hangsen e-juice delivers on that front... with the tobacco component of the flavor sitting right there in the throat, just like it would with the real (incredibly hazardous) thing. That’s why I consider the higher PG option to be the best for some newbies to vaping, who’re reluctant to give vaping a good go unless they get a damn near perfect simulation of the real thing. Authentic Flavor: I’ve sampled a number of RY4 flavors from various brands over the years and I must say, the PG/VG ratio here, as well as the obvious quality of ingredients, produces just about the most authentic experience of all the examples I’ve tasted. Fragrance: There’s a creaminess to the fragrance, with subtle but high quality vanilla notes shining through. Inhale: With the inhale I immediately get tobacco on the nose, just as the rich caramel sweetness settles on the tip of my tongue. Throat Hit: As I mentioned before, the PG delivers a really distinct, cigarette-esque throat hit which, combined with the light but authentic tobacco flavor in the product as it goes down, should really do the trick for quitters who’re trying to beat those nasty cravings. Exhale: I get that subtle vanilla returning in the exhale, with a delicious caramel sweetness settling on my tongue and lips, in fact... licking my lips after the exhale I was indeed taken back to that original flavored tobacco experience, which is exactly what you’d want from an RY4 e-juice. Vapor Production: Really not bad considering this is such a high PG juice, medium to good. All Day Vaping: The sweetness and bitter tobacco flavor balance each other out nicely, while the vanilla adds necessary interest to the bouquet. 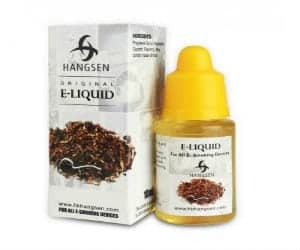 This Hangsen RY4 e-juice would make a great all day vape for the ex-tobacco-lover all though the sugar content may cause atomizers to pack up a little quicker than usual. As I've mentioned, Hangsen RY4 is not an e-juice for seasoned vapers who're on the hunt for massive, fruity clouds. I recommend it more for tobacco quitters. Their high PG content may also trigger irritations if you're a sensitive vaper. Hangsen is not only a trusted producer of high quality liquids, they also cater largely to ex-smokers... meaning they provide a wide variety of products with a tobacco flavor to help smokers kick the nasty habit. Let’s face it, there’s no shortage of tobacco flavored and even RY4 products on the vaping market... and you may even prefer the higher VG juice, especially if you are a seasoned vaper like myself. That said, this Hangsen product has its place, especially as a starter / crossover e-juice for smokers who are quitting. During this Hangsen RY4 flavor review, I found the product to be well balanced and I really thought that it provided a good, light but authentic tobacco experience with just enough caramel and vanilla to make it enjoyable. 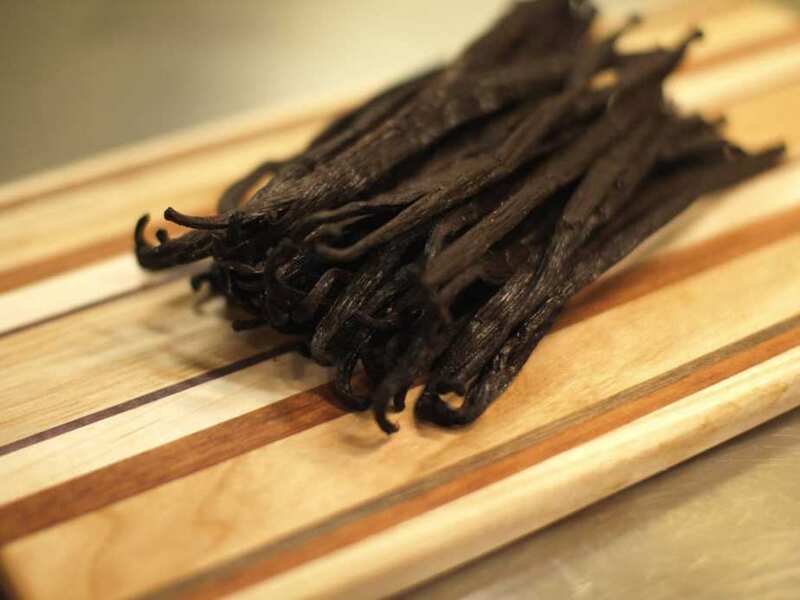 It’s a good example of the RY4 flavor profile, that utilizes high quality ingredients.